TITANIC: History's Most Famous Ship: April 15, 1912: Titanic Sinks! 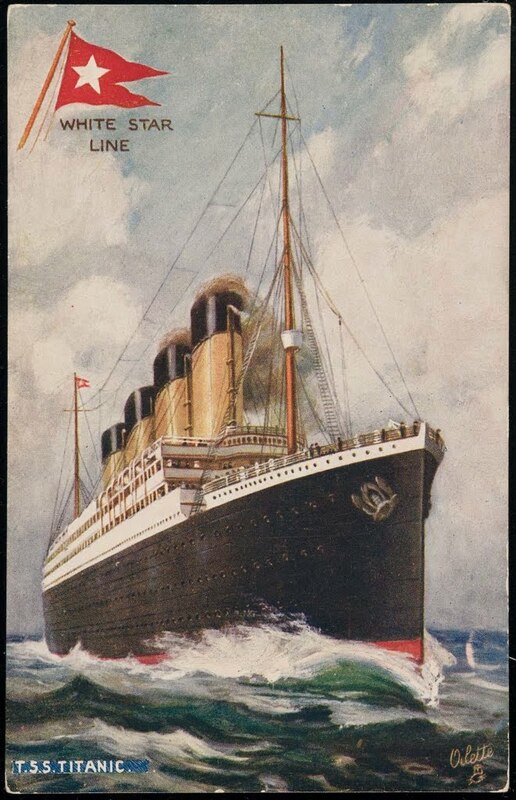 April 15, 1912: Titanic Sinks! After the bow section broke away, leaving the stern section at the surface in a near upright position, the people still on board had no choice but to hang on and wait for what was going to happen next. Then after about a minute or so, the stern section begins to sink. Some passengers found places that used to be vertical, but were now horizontal, to rest on as the ship went down. However, there were some that were having to hang on to anything they could in an effort to keep from falling the long distance to the water. It is easy to imagine people hanging on then losing their grip and falling, with no guarantee that they wouldn't collide with something on the way down. As Titanic makes her final decent, water flooding the inside of the stern starts to force it's way into areas that are still filled with air, violently bursting through the weaker structures of the ship. Third Officer Pitman is watching nearby in lifeboat number 5 as the last of Titanic slowly slips beneath the surface. "2:20 exactly, ship's time. I took my watch out at the time she disappeared, and said, "It is 2:20," and the passengers around me heard it. 2:20am, the 15th of April."